The ATLANTIC CITY BALLET preserves the traditions of ballet by presenting both time-honored classic ballets and innovative contemporary work. Uniquely focused on celebrating world cultures, AC Ballet includes 25 award-winning dancers representing eleven countries. New to the upcoming season are Ballet Goes Broadway and Visions, as well as audience favorites such as Dracula, Sleeping Beauty, Carmen, It’s A Shore Holiday, Papa & Sinatra: Their Way and the educational outreach program Stages to Schools. Several AC Ballet programs also incorporate local musical from small combos to symphonies. Chris released Bitter Midnight in March 2017. Bitter Midnight is the band’s first studio album since the 2011. Bitter Midnight was named Album of the Month in the March issue of Gitarist Magazine (NL), noting: "As we've come to expect from Bergson, Bitter Midnight is full of tasty, intuitive guitar work and passionate vocals but besides that, the album's also a triumph for his qualities as a composer. An absolute must for fans of blues, soul and southern rock." JOE CARO is a guitarist, composer and singer born and raised in New York City. Joe has toured extensively with notables such as Dr. John, Herbie Mann and Carly Simon / James Taylor. Joe has played live and or TV for Jon Bon Jovi, Clint Black, Ashford and Simpson, Crosby, Stills and Nash, The Eagles, Sheryl Crow, Lenny Kravitz, Aretha Franklin, Stanley Clarke, Johnny Mathis and Luther Vandross. Joe's recent CD Joe Caro and the Met Band Live in New York City is an all-star group lead by guitarist/vocalist Joe Caro, with trumpeter Randy Brecker, Anton Fig on drums, trumpeter Lew Soloff, Lou Marini on sax, pianist Clifford Carter and Conrad Korsch on bass. In addition to the CD band, Caro employs East and West Coast musicians to provide programming options for your venue. From coast to coast, the multi-media theatrical extravaganza that is DECADES REWIND has entertained audiences with the best songs from the greatest artists of the 60's, 70's and 80's. The 14-piece band consists of the finest musicians and singers, sharing the passion for the songs of our generation. Relive the best and brightest musical moments of decades gone by as you experience DECADES REWIND. DENISE DONATELLI has recorded five albums and her recordings have collectively garnered four Grammy nominations. Her most recent CD Find a Heart earned a 2016 Grammy nomination for Best Jazz Vocal Album. 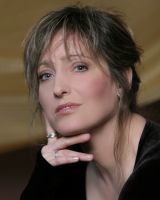 Denise’s 2012 release,Soul Shadows, and her 2010 release When the Lights Are Low, each received a Grammy nomination for Best Jazz Vocal Album. The Los Angeles Jazz Society recognized Denise with the 2012 Jazz Vocalist of the Year award and the 61st Annual DownBeat Critic's Poll rated her in the top 10 Rising Star Female Vocalists. Chicago-based JUNGLE OF CITIES is a new, exciting, and engaging six-piece ensemble performing an all-original mix of blues rock, country, world, and alt-pop. Think - Johnny Cash meets Pink Floyd meets Nick Cave. Born and raised in Puerto Rico, CARLI MUNOZ is a jazz pianist whose music of choice was jazz, European avant-garde and American pop music. Muñoz has worked with Wilson Pickett, Jan and Dean, The Association, George Benson, Charles Lloyd, Chico Hamilton, Wayne Henderson, Les McCann, Peter Cetera and Evie Sands. From 1970 through 1981, Muñoz toured with the Beach Boys, playing Hammond B3 and piano. Recent CDs include Love Tales (piano solo); Both Sides Now, with bassist, Eddie Gómez, drummer Joe Chambers and flautist Jeremy Steig; Live at Carli's Vol. 1, Live at Carli's Vol 2 and Live at Carli's Vol 3, the first second and third of a live series recorded at Carli Cafe Concierto; and Maverick, with Eddie Gómez on bass, Jack DeJohnette on drums, Don Byron on clarinet and David Sánchez on tenor saxophone. Carli’s latest release is a CD in the pop rock genre and the title is In My Soul, in memory of Carl Wilson and Dennis Wilson, released in February 2013. Released in September 2018, Carli’s Follow Me is thematic jazz/world album honoring Wangari Maathai - the Kenyan born Nobel Peace Prize winning environmental activist. Carlie says, "I see this recording as an opportunity to open hearts, inspire and spread a message of peace and awareness." The NEOPHONIC JAZZ ORCHESTRA is the Midwest's premier 24-piece large ensemble dedicated to the preservation of the bold, sophisticated music of Stan Kenton and composer Johnny Richards. Directed by Kenton alumnus Joel Kaye, Mr. Kaye has performed or recorded with Woody Herman, Maynard Ferguson, Quincy Jones and Stan Kenton. He has also played on 5 Grammy Award winning albums. 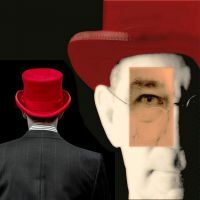 The Neophonic song list offers music by Leonard Bernstein, Stephen Sondheim, Cole Porter, Stevie Wonder, Duke Ellington, Seals & Crofts, John Williams, Johnny Richards and Joel Kaye. Jazziz Magazine hailed JANNET PLANET as a "Voice of the New Jazz Culture." Janet performs in a variety of formats from duos to her quartet to big band and symphonies. Janet's most recent recordings - Janet Planet Sings the Bob Dylan Songbook Vol. 1 and Of Thee I Sing - showcases her unique abilities to reinterpret classic folk, blues, rock and jazz standards. Janet has recently developed big band arrangements for her Bob Dylan project, resulting in the release of her most recent CD Just Like a Woman, The Music of Bob Dylan, Vol. 2. Janet recently released Da Capo with longtime collaborator pianist John Harmon. Da Capo includes 12 original tunes with music and lyrics by John Harmon, with Janet providing lyrics for four songs. “Da Capo is full of memorable melodies and top-notch singing… Da Capo is a set of warm and beautiful music, features Janet Planet and John Harmon at their very best.” - Scott Yanow, jazz journalist, historian and author. Jessica is the actress / writer of the acclaimed one-woman show, BETTE DAVIS AIN'T FOR SISSIES. 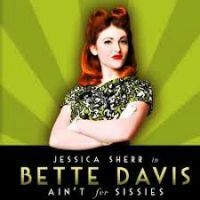 BETTE DAVIS AIN'T FOR SISSIES (BDAFS), written and performed by Jessica Sherr, is a 90-minute one-woman show about the 1930's icon, Bette Davis, on the night of the 1939 Academy Awards. Young Miss Davis is nominated for Best Actress in "Dark Victory", and the Los Angeles Times -LEAKED the OSCAR winners EARLY...the BOLD, DEFIANT and DISILLUSIONED, Bette Davis decides to leave the Oscars! Journey into the young starlets battle to win freedom from the grip and control of the studio moguls of Hollywood. Witness Bette's most defining moments as a tenacious young starlet fighting her way to the top!! See what happens when someone who always wins...loses. Spanning the boundaries of Country, Southern Rock, Trop Rock and Bluegrass, Southern Drawl Band (SDB) attracts new fans with every concert they perform, from house concerts to performing arts centers to major outdoor festivals. Their unique trait of extraordinary music, heartfelt song writing and impressive audience appeal increasingly distinguishes SDB from the rest in the country music scene. Southern Drawl Band is a band on the with a non-stop upward mobility, sharing the stage with such artists as Lynyrd Skynyrd, Jimmy Buffett, Aaron Tippin, Neil McCoy, Blackberry Smoke, Pure Prairie League & Cody Canada to name a few. Dubbed The Les Paul of The Violin World, Emmy-winning composer, performer and music educator Mark Wood rose to fame as string master and founding member of the internationally acclaimed Trans-Siberian Orchestra. Mark’s innovative program Electrify Your Strings (EYS) is an intensive rock and roll workshop for school music departments that boosts student self-esteem and motivation. In addition to EYS, Mark tours with The Mark Wood Experience as a soloist, with his trio including his wife, vocalist Laura Kaye, and their son Elijah on drums, and with his 6-piece band.